Mercedes Benz has refreshed their luxury tourer B-Class in India which was unveiled for the first time at the Paris Motor Show in October last year. 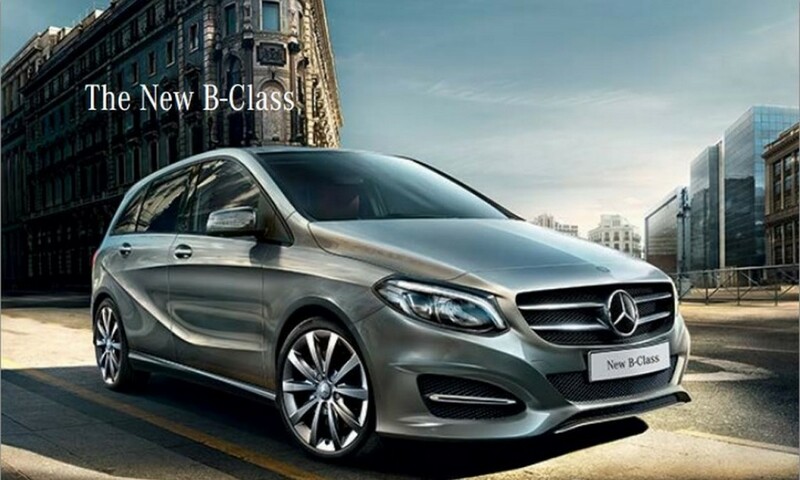 The 2015 B-Class now starts at a sticker price of Rs 27.95 lakhs (ex-showroom, Mumbai). It gets a power boost with the diesel version and the 2.1 Liter in line 4 cylinder engine now churns out 136 PS of power in the range of 3,600 to 4,400 rpm and peak torque output of 300 Nm between 1,600 to 3,000 rpm. The petrol engine remains the same 1.6 Liter in line 4 pot mill producing 122.4 PS of power at 5,000 rpm and a peak torque of 200 Nm in the range of 1,250 to 4,000 rpm. Both the engines are mated with a 7G-DCT dual clutch transmission. The claimed top speeds of petrol and diesel versions are 200 kmph and 210 kmph respectively. The updated B Class gets a redesigned front and rear bumpers. The head lamps also seem to be inspired from the new C Class and gets LEDs! The interiors also get a refreshed layout with an interior trim of either black or beige depending on the body colour. The seats get red stitching which is also present in the new steering wheel borrowed from the C Class. The instrumentation cluster is also taken up from the new C-Class. The COMAND system gets a fresh breath of life in the form of a 17.8 cm high resolution tablet. The car also gets pre-installed Navigation system by Garmin. Safety net includes attention assist, ESP (Electronic Stability Programme), ABS, airbags, Hill start assist, brake assist and tyre pressure monitoring system. 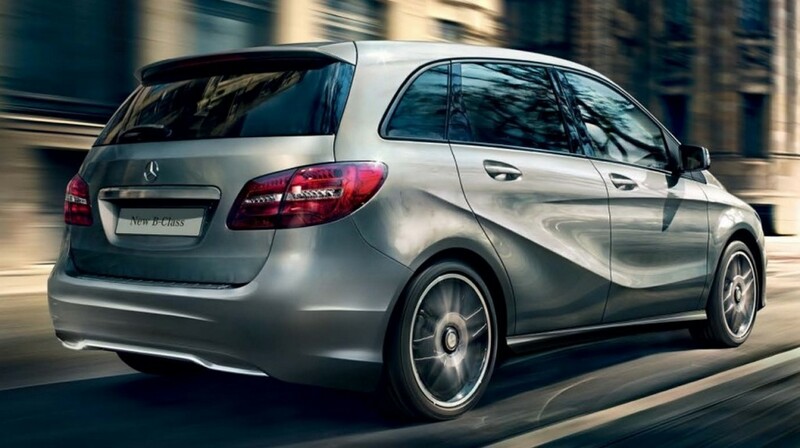 2015 B-Class B200 CDI Sport Diesel: Rs 28.95 lakhs.